11 Lyndell Hudson - 6'5/300 OL from Central HS in Brooksville, FL. 13. Shamar Munroe - 6'1/190 Safety from Palmetto HS in Miami, FL. We have our first "known commitment" in our list for 2018. Ivan Thomas is a 6'4/200 WR who just picked FIU over offers from Iowa, Indiana, Rutgers, Syracuse, Colorado State, Kentucky, Temple, and Bowling Green among FBS schools. He is a 247Sports, ESPN (grade 76), Rivals, and Scout.com 3-Stars player. Was committed for a while to Iowa, but apparently Iowa didn't accept his commitment due to him not visiting Iowa at the moment, which some posters from Iowa state now it is a requisite by Iowa coaching staff. We have a new commitment last Saturday July 22 (last week during OL/DL camp) and his name is Raymond Horton, who is a 6'3/325 OL from Daytona Mainland HS. This season he should be a 4-year starter for this traditionally-good high school program and is a returning 1st Team All Area player. As Building a Dynasty stated, he's only rated by Rivals, and only as a 2-star player. Also, he listed offers from Marshall and FAU prior to committing to FIU, while also sporting offers from Bethune Cookmand and NC A& T.
He becomes FIU's second known commitment on our list. Jordan Underwood committed to FIU on Friday July 28. Underwood is a 6'0/174 WR from Olympia HS in Orlando. He is unrated by all services except for Rivals, who rated him as 2 Stars. Underwood reportedly chose FIU over offers from Akron, Central Michigan, MTSU, Troy, Utah State, UAB, Coastal Carolina, Liberty, South Dakota, Bethune Cookman, James Madison and others. Reportedly has run a 4.33 forty at FAU camp and routinely runs 4.4's. 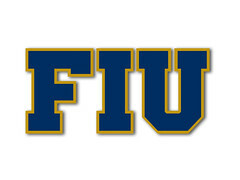 He became FIU's third known commitment to date. David O'Meara a 6'5/233 TE from Lawton Chiles HS in Tallahassee, FL committed to FIU on Saturday via twitter. O"Meara chose FIU over offers from Troy and UAB. He is unrated by recruiting services as of now. He becomes FIU's 4th known commitment to date. Lawrence Papillon, a 5'9/183 RB from Miami's Dr. Krop HS has committed to us via twitter. Papillon was a 3rd Team Class 8A-6A All Dade County player last season as a junior after running for over 900 yards. Also a very good punt and kick off return man, Papillon reportedly also had offers from Oregon State, Cincinnati, Marshall, and Georgia State. Papillon becomes FIU's 5th known commitment to date. John Bolding III is a 6'3/300 OL from Klein Oak HS in Spring, Texas. Bolding has had offers from Oklahoma State, Arkansas State and several FCS schools prior to choosing FIU. Of course, he is thought to be going with his big brother, Tayland Humphrey together to school. He becomes the 6th known commitment of this year's class so far. The latest known commitment tonight (7th in our list) is 5'10/155 WR Nathaniel "Tank" Dell from Daytona Beach's Mainland HS. Dell was last year's leading receiver for Mainland HS, grabbing 42 catches for 628 yards and 8 TD's for the always tough Mainland HS team. More recently, he participated in FIU's 7 on 7 camp and was named the camp's MVP. So, our coaches have taken a good luck at Tank already. Given his lack of size, he has only FIU as his lone FBS offer, but he sure can produce. He is unrated as of now by the recruiting websites. D’Marcus Adams has drawn the headlines over the past couple months, scooping up offers from Penn State, North Carolina and others along the way. But don’t forget about the Bucs’ slot machines, Brian Jenkins and Dell. Mainland’s leading receiver in 2016, Dell (5-10, 155) recorded 42 receptions for 628 yards and eight touchdowns, becoming a trusted red-zone target for Florida Atlantic signee Denzel Houston. Assistant coach Terry Anthony said earlier this month that Troy had shown interest in Dell, and it may not be alone. Zahir Turner just committed to FIU, according to a tweet of his. He is a 6'0/160 WR from Miami's Booker T. Washington HS. He chose FIU reportedly over offers from Auburn, Illinois, Florida, Syracuse, Kentucky, Temple, Southern Miss, and FAU. He is a Rivals 3-Stars player, unranked by the other websites. Reportedly was just offered a bit over two weeks ago by Auburn, as he reportedly ran a 4.47 forty while at camp in Auburn. Committed briefly to Illinois but was either not accepted by Illinois or taken back by Zahir almost immediately he posted that in May. He became FIU's 8th known commitment so far for the Class of 2018.
or school, be he is a DE and his twitter handle is JRL_97. Hope we find out who he is soon enough. Nice commitment. Rocky Jacques-Louis is a 6'3/205 DE/TE from Dunbar HS in Ft. Myers, FL. He chose FIU over reportedly offers from North Carolina, Purdue, UCF, Tulane, Bowling Green, Appalachian State, Duquesne and Central Michigan, while garnering interest from NC State and Kentucky among others. He just announced via twitter, thus becoming this year's 9th known commitment. A finalist for the News Press Area's Defensive Player of the Year, Rocky ended up last season with a county best 26 sacks, which broke the Lee County record, is ranked as the overall #10 player by News Press in the Florida Southwest area. He also had 95 tackles and 35 QB hurries, plus 17 tackles for loss additionally. He also has a 3.97 GPA. Rocky was also named Class 5A 2nd Team All State last year as a junior. He is unrated by every website at this point. His twin brother, Shocky has a ton of FBS offers like Michigan, Michigan State, Tennesse, Pitt, Kentucky and others. Jesson Walker, a 6'1/160 DB/WR from Rockledge HS in Brevard County FL, has committed to FIU today, as per a tweet of his. Walker, who chose FIU over offers from FAU , Troy, and Central Connecticut State becomes FIU's 10th known commitment so far for the Class of 2018. he was named an Honorable Mention DB in Space Coast Region, after getting at least 4 interceptions (As of Nov. 2 2016) last season. He is unranked by the recruiting websites. Jesson is coached by former FIU QB, Wayne Younger. He is also a track star as he qualified for regionals in two jumps and in 110 meter hurdles, being the triple jump district champion. Fanatic is slacking; need to add Donovan. Well, this past October 23, Hialeah Champagnat Catholic's Donovan Georges committed to FIU. The 6-0/237 LB was previously committed to Georgia and has had offers from the lines of Alabama, Miami, Georgia, LSU, Michigan State, Louisville, West Virginia, Pitt, USF, Syracuse, Temple, Colorado Stare, and Appalachian State. He used to be rated 4-Stars until not long ago, but is now rated a consensus 3-Stars player. A big, local, get from Butch and staff in this recruiting cycle. Any reason to think David O'Meara isn't a preferred walk-on?